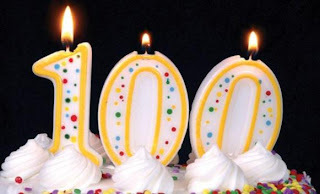 SeniorsAloud: BELIEVE IT OR NOT - MALAYSIA HAS THE HIGHEST PERCENTAGE OF CENTENARIANS IN THE WORLD! BELIEVE IT OR NOT - MALAYSIA HAS THE HIGHEST PERCENTAGE OF CENTENARIANS IN THE WORLD! Fact or fiction? True or false? Who knows. These figures were revealed in the 2010 National Population and Housing census. Of these centenarians, 16,438 are Malays, 7,155 Chinese, 2,109 Indians and 1,576 others. The current average life expectancy of a Malaysian is 75 years. Both the Star and the New Straits Times carried reports on this in January this year. Does this mean that Japan has lost top spot to Malaysia as the country with the world's fastest ageing population? Japan with a population of 128 million people has more than 47,000 centenarians. Malaysia with a population of 28.7 million people has 27,278 centenarians. Do the math and compare the percentage of centenarians in both countries, and you begin to feel a sense of pride in the longevity of Malaysians, that is, if the figures are to be believed. Health Minister Datuk Seri Liow Tiong Lai was reported to have attributed this to the government's efforts in providing medical services to the people and subsidising public healthcare. This had contributed to improvements in health and life expectancy. Simply amazing. Incredulous is more like it. Click here to find out which are the top eight countries with the highest number of centenarians. Strange that Malaysia is missing from the list. Perhaps the National Registration Department can verify the numbers? Or the Election Commission can check the electoral roll? Remember, there was a Believe It Or Not program on our telly some time ago. I suggest that they host a show on the many unbelievable pronouncements by our equally incredible UMNO/BN government!!!!!!!!!! LONGEVITY BONUS OR LONGEVITY CRISIS?